When it comes to financing your next vehicle, we are sure you have a lot of questions. 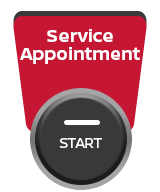 At Trevors Nissan, we have answers for you. Financing or leasing a new vehicle should be a simple and enjoyable process, and our team of experienced financing specialists here at Trevors Nissan will do everything in their power to make it so. Regardless of whether you are buying a new vehicle, a pre-owned vehicle, or leasing a new Nissan, we have a variety of flexible and affordable financing solutions to offer you. Come in today and let us help you find the right financing program for your next Nissan. Every new Nissan vehicle is offered with flexible financing and leasing terms and packages that can be tailored to your financial situation. Our team will work with you and make sure we understand your situation in order to personalize your financing plan. 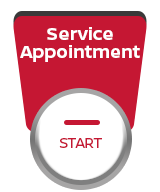 You are sure to be impressed by the quality of the service you receive at Trevors Nissan’s financing department. We take the time to listen to our clients, understand their needs, and help them find the right plan. Trevors Nissan can also help you if you are buying a pre-owned vehicle. We provide low-interest financing on a wide range of used models in stock, and flexible financing plans on all of our certified Nissan pre-owned models. Come in today and speak with our financing experts. They will answer every question you may have and help you find the right financing solution for you. I wish to receive recalls, news and promotions emails from Trevors Nissan.